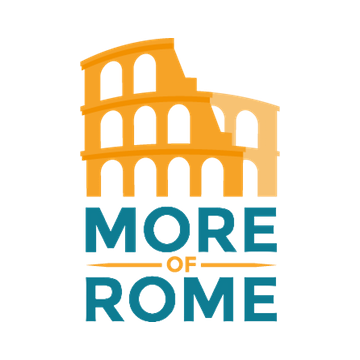 Join us on exclusive small-group tour of the top floors of Colosseum (opened for the first time in 40 years) and ancient Rome, including Roman Forum and the majestic Palatine Hill. 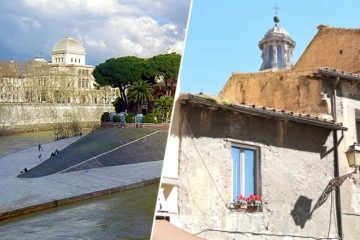 On this guided tour, you will skip the line and the crowds, and use a special gate, The Gate of Gladiators, used by the Emperors and gladiators nearly 2000 years ago to enter Colosseum. 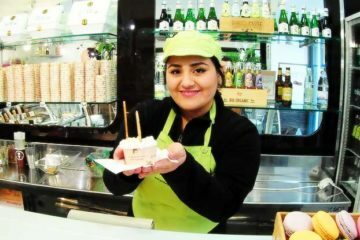 With your passionate guide you will explore the most spectacular and restricted section of Colosseum, the Top Tier (3rd 4th and 5th levels), but of course, your tour will not end there, your tour guide will then take you to the heart of the ancient Rome – Roman Forum and Palatine Hill. 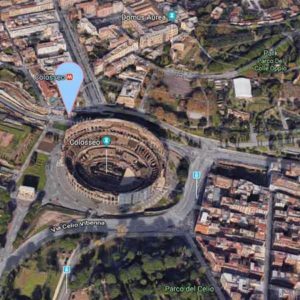 Your professional, English-speaking guide will meet you at the designated meeting point outside the Colosseo Metro Station (location described in the voucher). The group is not going to be larger than 8 people and you will not have annoying headsets, but rather personal and almost private experience with your passionate guide. The check-in is going to take just a few minutes and your small group will be heading to the restricted entrance of the Colosseum called the Gladiator’s Gate. 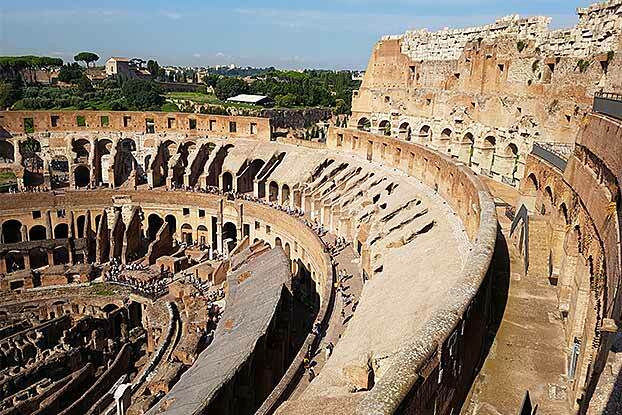 You will commence your tour by exploring the 3rd, 4th and 5th levels of Colosseum, opened to the public for the first time in nearly 40 years. Behold the breath-taking views of ancient Rome while listening to the commentary of your tour guide. Learn about the gladiators, the brutal hunts, gore public executions and combats that would unfold on the floor of the arena down below. From the top tier of Colosseum you can admire the view of the arena and all levels below, but also learn about the social classes who were actually allowed to sit at the top floors of Colosseum. From the top tier you will descend to the lower floors of Colosseum, where the guide will give you plenty of time to take photos, buy souvenirs or use the restrooms. After the tour of Colosseum, you will head off to the second venue: The Roman Forum. Allow your guide to bring the ruins of Roman Forum to life with CG images of what it used to look like, and a captivating narrative. Third and last venue of this guided tour is the Palatine Hill. Home to the Elite of Rome, the Palatine Hill combines great views and some of the greatest marvels of the ancient building techniques. Ruins of the great imperial palaces offer an insight into the lives of the emperors and their families. Your tour guide will describe the ruins and the artifacts, and reveal a few facts and details just recently discovered by the archaeologists. Marvel at the stunning views of Rome as the tour comes to an end, from the highest point of Palatine. Also take a look at our regular Skip The Line Colosseum Tour! For safety reasons only 3000 people are allowed to be inside Colosseum at any given moment. For logistical reasons the itinerary may change, it will not affect the duration of the tour nor the inclusions. A piece of photo ID is required as the security staff of Colosseum may conduct a random ID check. All participants must provide a full name and a date of birth before entering restricted areas of Colosseum such as the top tier. We meet at the ground floor of the Colosseo Metro Station (Line B), at S.O.S sign.